United Airlines, initially founded as an air mail service, added a great deal of passenger service after World War II. For many years, United did not operate outside the United States, and therefore sought to take advantage of growing leisure markets by aggressively promoting American destinations, including both Hawaii and destinations in the continental United States. 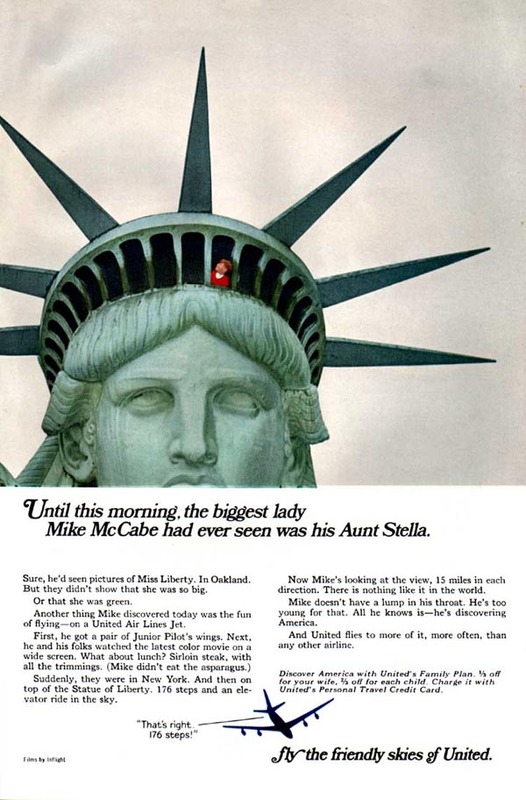 This advertisement promoted New York, where United operated a large hub, and the airline’s Family Plan, which encouraged parents to travel with their children by offering reduced fares and appealing to these parents’ desire to educate their children in American culture. 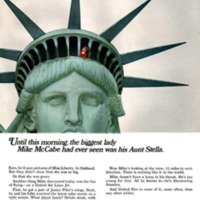 United Airlines, “United Family Plan,” The American Century, accessed April 20, 2019, https://americancentury.omeka.wlu.edu/items/show/381.